From the book cover - When Ross Buchanan is forced to resign as chairman of the Barrington Shipping Company, Emma Clifton wants to replace him. But Don Pedro Martinez intends to install his puppet, the egregious Major Alex Fisher, in order to destroy the Barrington family firm just as the company plans to build its new luxury liner, the MV Buckingham. Back in London, Harry and Emma’s adopted daughter wins a scholarship to the Slade Academy of Art where she falls in love with a fellow student, Clive Bingham, who asks her to marry him. Both families are delighted until Priscilla Bingham, Jessica’s future mother-in-law, has a visit from an old friend, Lady Virginia Fenwick, who drops her particular brand of poison into the wedding chalice. Then, without warning, Cedric Hardcastle, a bluff Yorkshireman who no one has come across before, takes his place on the board of Barringtons. This causes an upheaval that none of them could have anticipated, and will change the lives of every member of the Clifton and Barrington families. Hardcastle’s first decision is who to support to become the next chairman of the board: Emma Clifton or Major Alex Fisher? And with that decision, the story takes yet another twist that will keep you on the edge of your seat. Background - The Clifton chronicles begin in year 1920, introducing us to Harry Clifton , his family , Old Jack , his schools and the friends he make in his initial years. It also introduces us to two generations of Barringtons , who all like Harry with exception of one Hugo Barrington who might be Harry's real father. And with this one doubt , Harry's whole life takes and unexpected turn at the end of the book. Set in the times of world war , this book not only engages the reader in this epic tale of the two families but also gives a glimpse into the life in those years. The second volume is all about Harry and Emma Barrington who goes in the search of Harry Clifton and how she brings the father of her son back to his loved ones. This book had a lot of surprises in store as Emma and Giles chart their destinies in way none had expected. Hugo's sins haunt not just Harry , Emma and Giles , but also another innocent life gets involved. The third book opens to the day , the fate of Gile's inheritance and Emma's wedding to Harry is decided. Soon after , Harry returns to America to promote his latest novel, while his beloved Emma goes in search of the little girl who was found abandoned in her father's office on the night he was killed. But this book belongs more to Harry's son Sebestian Clifton. He influences not just Gile's election results but by end of the book, we find him turning the wheel of time to a moment that will change life of every single person associated to him. 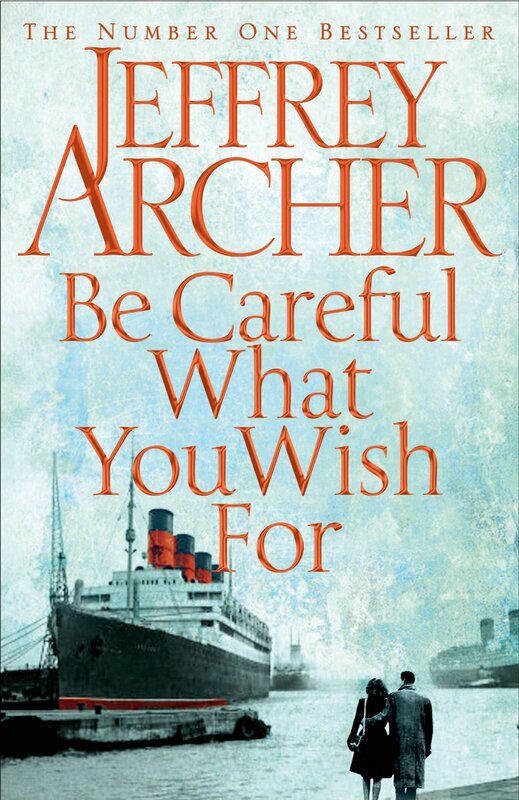 My views - Be careful what you wish for is the fourth part of Archer's ambitious project that will span the lifetime of Cliftons and Barringtons and all that is in the mentioned era and the people around them. There is nothing much I can tell about the book plot without spoiling it for people who have not read it, but this book got me hooked to the series back again. The third book left me wanting for more and something more juicy to chew on. This book was all that and more. Frankly , what I loved most about this book is the new characters introduced - Cedric Hardcastle & Robert Bingham. I totally adore both these men equally , maybe a little more than Seb too ! It was heartening to see Emma becoming the chairman of Barrington shipping firm and to see her do justice to her role. Jessica's tale made me very sad but it was lovely to see her inspiring strangers to fight for her. Over all the story has very few lose ends and I liked the way Archer has shaped the story as a fast paced thriller sort in this part. Leaving some incidents aside , it is mostly a power game between Don Pedro and every one who stands against him for benefit of our beloved families. This one is worth every hour i have sacrificed my sleep to finish it. But like every previous part , this book too ends at a cliffhanger. Though I am not a patient person and I thought I could finally be done with the series , I find myself a little sad that the next book is still an year away. 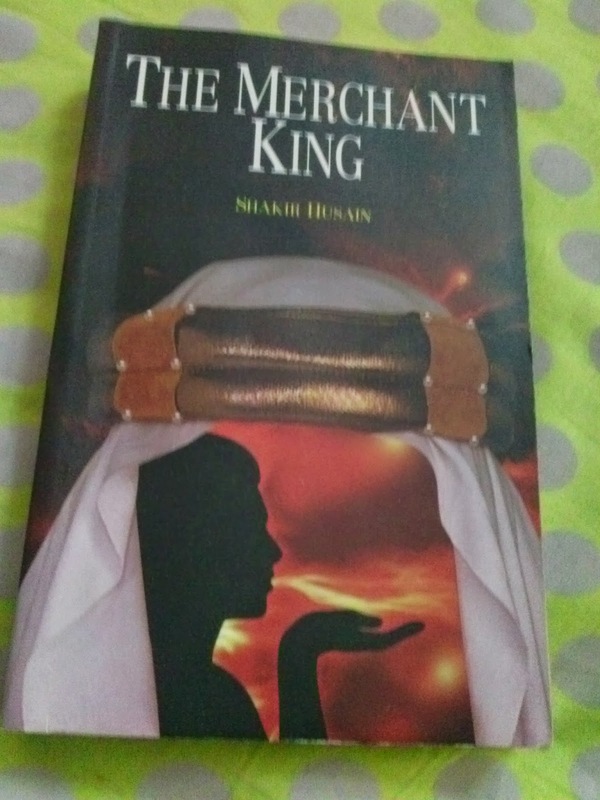 The Merchant King starts with introducing Saqr , the young prince of Balad and his ambitious dream of making his tiny island into a self sustained nation. And he does make it happen though the after effects are nothing he or any reader would have imagined. Though I read quite a lot of varied books and topics , I had never been able to understand much about politics and economics or how both are interlinked. But this book made a lot of these matters a bit clear to me.By taking the reader through the process of how a nation gets recognition , how the infrastructure , the policies , the relations are formed over time. There are forces , both good and bad that influence a nation's growth and how important it is to have a strong and wise leader to guide the nation through this phase. The book very subtly shows the true colors and nuiances of every section of society - the politicians , the page 3 class , the bankers , the international embassadors, the news people , the new people who migrate to new nations , the developed and other developing nations reactions and maby more sections. i was amazed how everythibg fot so well in the plot without being overwhelming, apart from the names of people and organizations. The names used are a block some times 'cause they are hard to remember and follow. But same time , the abbreviations of the organizations are funny and sarcastic too. I enjoyed the book and would reccomend it to all. It's election time and everybody is busy speculating about the future Prime Minister of the country.Perhaps to cash in on the election euphoria atleast half a dozen books and feature films with politics as the main theme have come out in the last couple of weeks.So naturally,I had my own reservations and apprehensions while picking up this new political novel for review but after reading this (e-book)book,I am happy that I have been proved wrong.J.K.Sachin's debut work,The PM'S Wishlist is a political thriller which narrates the tale of Sharan Karan,the shrewd and cunning newly elected Prime Minister of the world's largest democracy. 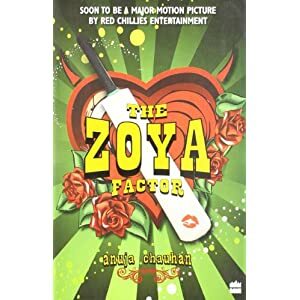 The story is wafer thin.Frankly speaking, the book has only a 'half-decent' plot,(it's more or less like a manual for India's future Prime Minister on 'what to do and what not to do' once he assumes Office)but where it actually scores is in the execution of it's basic concept.Sachin's writing style is also praiseworthy as he has suceeded in keeping the reader hooked to the proceedings from the very first page of the novel.This is that kind of book which has it's heart in the right place and through which the author genuinely tries to bring some sort of 'change' in the society.The writer tries to list the major problems which the country faces and tries to give practical solutions for them.While some of the 'solutions' which Sachin puts forward are intelligent and well thought out(like the idea of security assessment through 'Advantages',Weakness,Vulnerability,Impediments ),a few of them appear too silly and even ridiculous(the concept of evening courts advocating vigilante justice being one among them). The book isn't entirely flawless either.If you are looking for a fastpaced political thriller in 'The PM'S Wishlist',I'm sure that you will be terribly disappointed.Even the principal characters in the book aren't well etched out. (For instance,the reader never even gets to know how the protagonist,Sharan Karan looks like!- the ploy to keep the appearance of the 'PM' a bit hazy or vague might be a deliberate one but I must say that it didn't work for me).Similarly there are also a couple of grammatical errors which could have been avoided.So instead of calling this work a political thriller,I prefer calling it a socio-political document on the present day India. Verdict-I would give this book a 3.25 out of 5.This book tries to address some of the issues plaguing our country and attempts to give practical solutions for them.I think all educated Indians should give this book a try. BESTSELLERS: Murder in Amravathi, Banquet on the dead. The Winds of Hastinapur is his third novel. SYNOPSIS (From Back Cover): The tale begins when Ganga was cursed and sent to Earth. She lives among the mortals and bears seven children to Shantanu, the King of Hastinapur, all of whom she kills. With the eighth, she leaves. That boy, who returns to Earth, will prove to be the key to the future of Hastinapur. The story, as told through the lives of his mother Ganga and stepmother, Satyavati, is violent, fraught with conflict and touched by magic. A lady of the river who has no virgin daughter to carry on her legacy. Celestials who partake of a mysterious lake they guard with their very lives, sages overcome by lust, a randy fisher-princess - these and other characters lend a startling new dimension to a familiar tale. 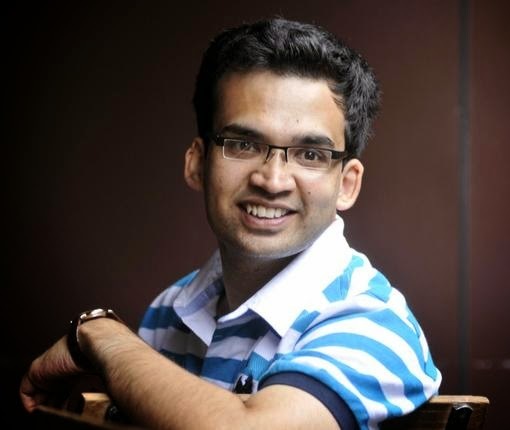 Sharath Komarraju does not so much retell the epic as rewrite it. "My hair is white and thin now. In a few moons, the Goddess will claim me and I do not have a fresh young virgin by my side to absorb my knowledge and take my place once I am gone. The Mysteries of Ganga and her Sight will vanish with me, and the Great River will become nothing more than a body of lifeless water....It is my intention therefore, to tell you this story as it happened and as I saw it happen." She bent down, hands on knees, to look him in the eye. Do you want to see some magic? She reached into the crook of her blouse and brought out a little cloth bag. After untying the knot, she slid two fingers through the mouth, and when she brought them out again, their tips were swabbed in a white, powdery substance. She rubbed her fingers on her palm, then rubbed her both her palms together. She said, and ran her hands once over her arms, shoulders and face. There, that should do. Now do you still smell me? MSM Speaks: It is such an enlightening experience to have a book of a friend in your hand and to not be biased, to not form an opinion even before reading it and to let go of all preconceived notions you may have. 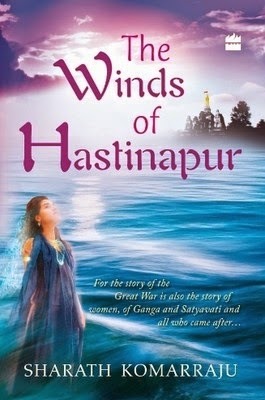 Such was an experience of reading The Winds of Hastinapur. I read it with detached attached emotions and with each page I saw a new story unfurl and a new perspective was formed in my mind with every chapter. This wonderful tale of epic times is from the perspective of women. Mr. Sharath had previously hooked me onto his 'Murder in Amravathi' and 'Banquet on the Dead' (Read the review by Nimue Here), which I read in 5 hours top. The Winds of Hastinapur started with a pace, which was slow in build up and since I sucked at history, despite reading Mahabharata twice, I decided to keep taking break. But after few pages, I just could not keep the book down and officially finished the book in three hours!! The book is divided into two parts; Book 1 is from the perspective of Ganga and Book 2 is from the perspective of Satyavati. The tale starts with Ganga becoming a pawn in undoing a curse and continues to bring to fore the ever present divide between the Celestials on the Meru and the Earthmen. She bears seven children but kills them all, only for the curse which was not even bestowed on her and with the eighth child, she relinquishes her throne and returns, only to make a choice, which changes the history and set such things is motion which are both terrific and magnanimous in nature. Her son Devavrata, goes on to become a force to be reckoned with, but nursing a curse that passed on from her mother and the destiny on Meru. In Book 2, the story is of the Earth, separate from Meru and its mysteries but holds a key to the future of this epic tale of Hastinapur. Satyavati, not very different from Ganga has her own curses to deal with and a price to pay to the Goddess whom she underestimates. She has to make choices, which are destructive for her sons - and her step son, who is the true king of Hastinapur. Will she be a mother or will she lose her head as she did, when she was the innocent Kali. I was impressed by the narration and the poise and control with which the author has narrated a tale, which has always been from the perspective of men of the war, from the perspective of the women. The story is very very refreshing and I found myself curious all the while, not wanting the story to end. I immediately wanted to read the sequel, there are two more upcoming in 2015 and I am so gonna pre-order them!! Wonderful structuring of the story and the play with words. Every character has been portrayed in a manner which is clear and crisp and does not get mixed up! Loved the book!! MSM Absolutely Recommends!! I bought it from flipkart.